Guy Pearce and Robert Pattinson star in The Rover. The film is a thriller. The final poster for The Rover. Guy Pearce and Robert Pattinson star. 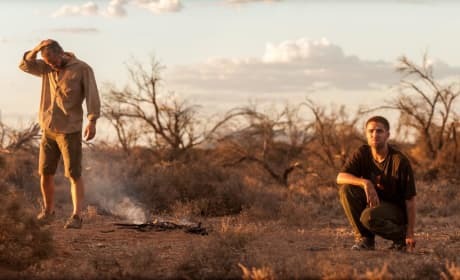 Guy Pearce and Robert Pattinson star in The Rover. The film is out now. 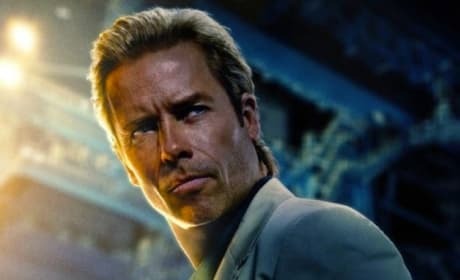 Guy Pearce stars in Iron Man 3. Pearce portrays the villain. 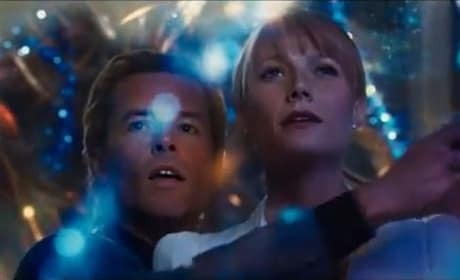 Guy Pearce and Gwyneth Paltrow in a scene from Iron Man 3. Iron Man 3 stars Robert Downey Jr. Guy Pearce is an actor and former bodybuilder from Ely, Cambridgeshire, England who is best known for his starring role in the 2000 Memento. Pearce grew up in Australia where he began his career on the Australian soap opera, Neighbours. However, his breakthrough into Hollywood movies came as the drag queen in the 1994 The Adventures of Priscilla, Queen of the Desert. Since then Pearce has had many impressive credits in L.A. Confidential, The Count of Monte Cristo, The Time Machine, The Hurt Locker, The King's Speech, and Prometheus.